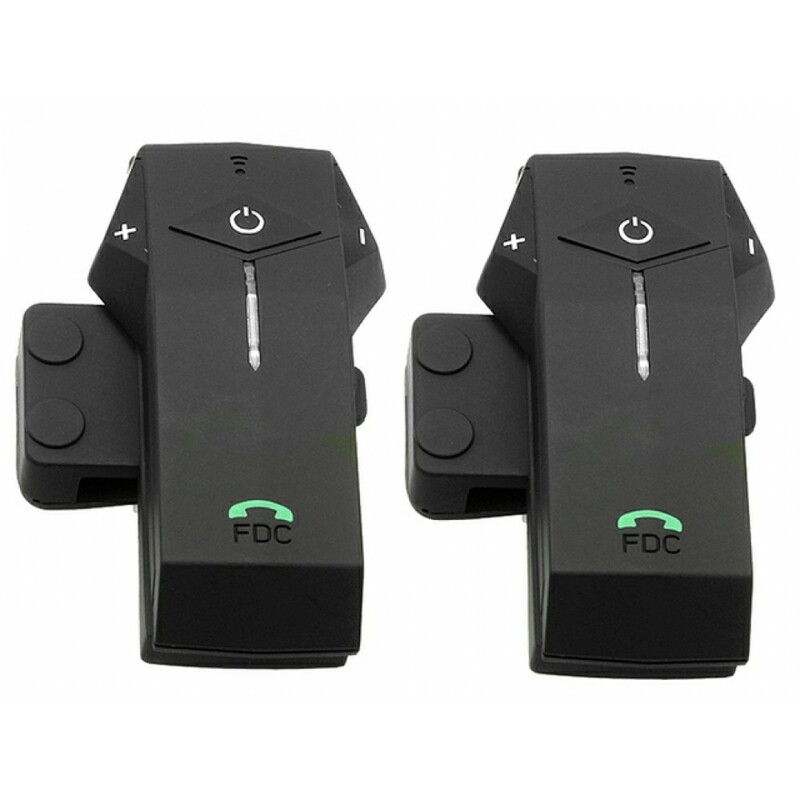 This device allows users to communicate with 1 or 2 headset devices via intercom. Users can communicate via intercom up to 3,280 feet apart from each other. 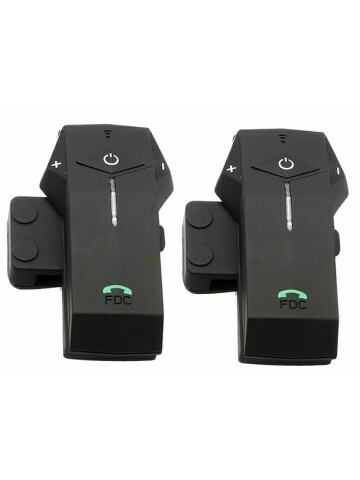 Near Field Communication (NFC) is a wireless technology that allows this device to easily pair up with other headsets for intercom functionality, as well as with mobile phones for Bluetooth connectivity (e.g. easy pairing). Just bring it closer to any Bluetooth device for easy pairing. 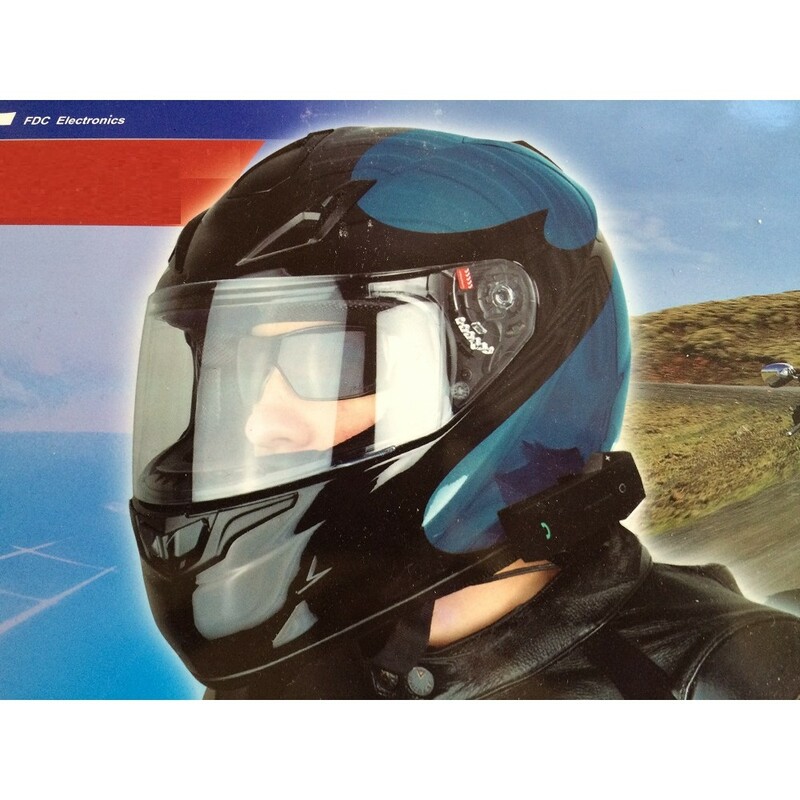 ▶ It supports 1-to-1 intercom functionality for a range of up to 3,280 ft (1,000 meters) with full-duplex communication. 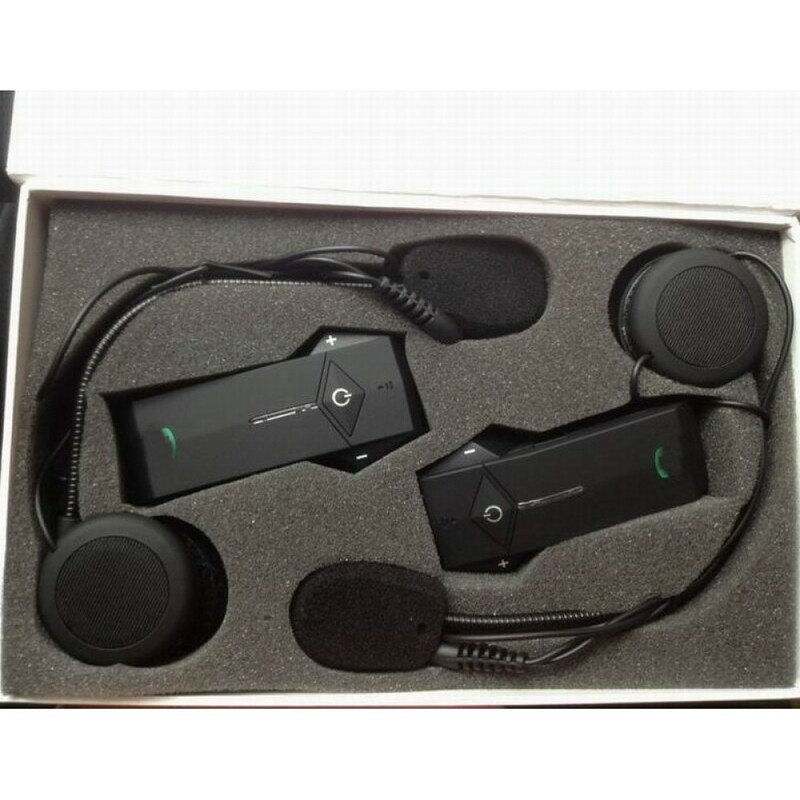 ▶ It can be setup to communicate with 2 other headsets (only 2 included) via the built-in intercom system (e.g. A-B or A-C). ▶ Up to 6 hours talk time when using the intercom feature. 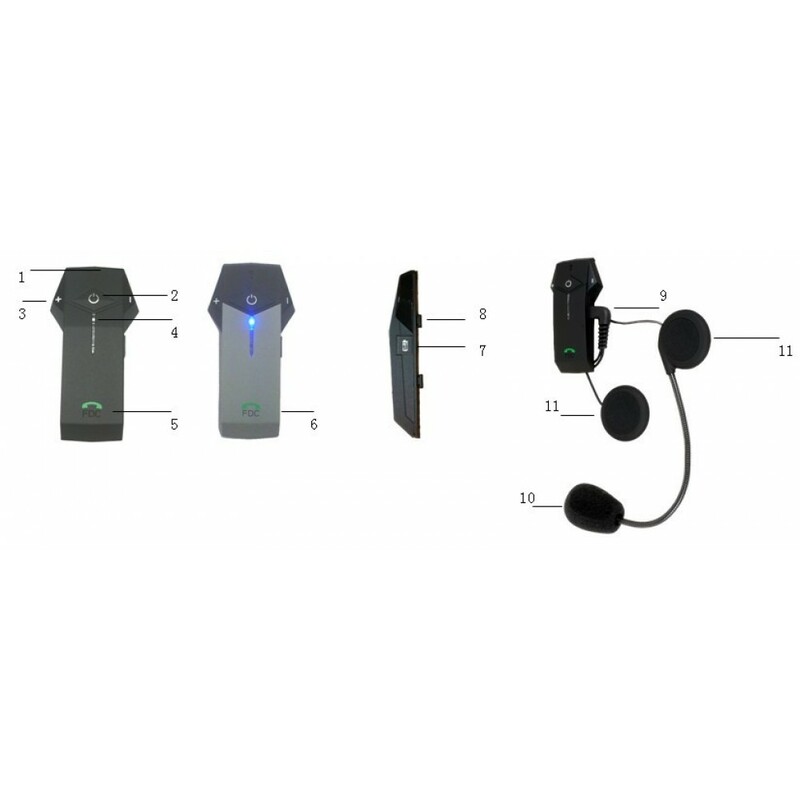 ▶ It can provide up to 10 hours talk time when connected to cell phone. ▶ Music listening via mobile phone music AVRCP play, pause, previous song, next song played. Control cell phone music through AVRCP: forward, backward, play, pause. 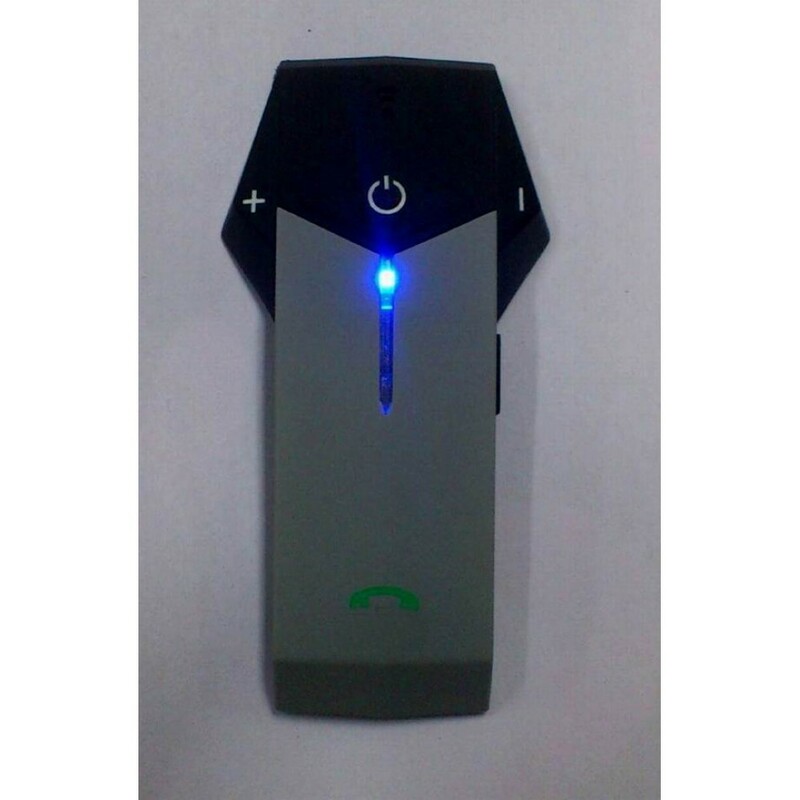 ▶ Durable built-in Li-ion Battery 3.7V, 370mAh. 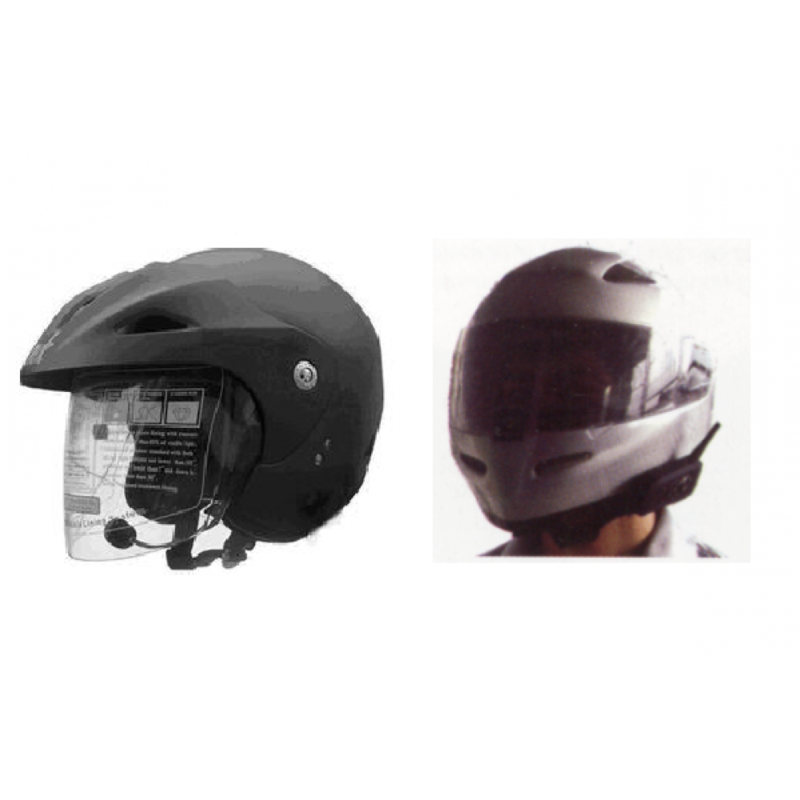 ▶ Compare this model (FDC-MHBK-F3) with other Bluetooth Helmet Headsets available in the market.